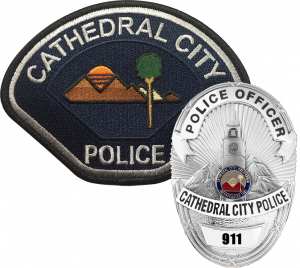 The Cathedral City Police Department currently has one crime scene technician, who also runs the property room. Crime Scene Technicians have been trained in the many areas of processing a crime scene from photography to collection and processing the collected evidence. 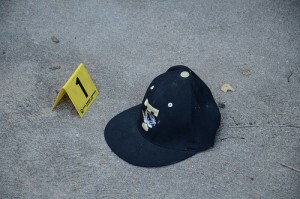 Crime Scene Technicians receive specialized training every year to keep up with any new techniques and procedures for collecting and processing evidence. The Crime Scene Unit for the Cathedral City Police Department is available to be called out to a scene 24 hours a day 7 days a week. This unit gets called out to process homicides, sexual assaults, major burglaries, robberies, and other major incidents. All of our police officers are trained in fingerprint collection and the processing of crime scenes. The property room at the police department is a secure facility in which all evidence, found property, and property held for safe keeping is cataloged and stored. 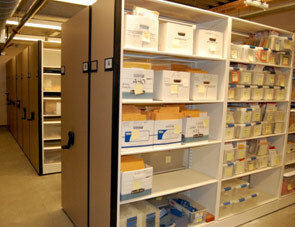 A good way to think of a property room is like a small warehouse with rows of shelves holding containers of evidence. Property room technicians are responsible for making sure all the evidence is stored properly whether on a shelf or in a refrigerator. These technicians are also responsible for making sure all the evidence needed for court is transferred to the courts property room and that the chain of custody is kept. After a case has been adjudicated the court authorizes the property to be released to the rightful owner. In some cases the property must be destroyed. This duty falls on the property technician. Found property and property held for safe keeping is returned to the rightful owner when it can be returned. If you have property in our property room that you are legally entitled to get back please contact the property room at (760) 202-2439. When you call please leave your name, contact phone number, case number, and a description of the property to be returned.